Mistrust prevails against the distant institutions in Brussels. Europe is scared like in the 1950’s. As many did during the cold war, Europeans today expect salvation for the divided Europe from aliens with UFOs, who shall pave national and cultural differences creating the United States of Europe (USE). Supposedly this USE based on solidarity, centralized power and supranational institutions not accountable to anybody and its size will ensure to prevail in the evil globalized world. What, however, other Europeans dare to ask, have been those ESU beings from the other Star doing behind mirrored facades, usually closed doors and with a highly dubious legitimacy? Unlike of the UFO debate in the 1950s these UFO’s today can be seen by everyone, but there are fascinating parallels between the debate in the 1950s and today regarding the European Union and the Euro. Hans Magnus Enzensberger, a German writer, coined a term: the bureaucratic ‘gentle monster Brussels’. The ESU monster, which stares right at us, is not only a smooth Great Mother, but also the fearsome Great Mother. Who is in control, who can be still trusted? It is an interesting fact that this UFO debate in the United States went hand in hand with the pursuit of the intellectuals in the 50ties. Conservative senators like Joseph McCarthy at that time destroyed everybody who didn’t share the official doctrine like today the European Governments and the EU take staggering actions, every time dissident thoughts to their distorted reality spin are expressed. It is this form of perceived omnipotence that leads to bullying and manipulating the citizens and the failed Hero acting of the ESU personnel. One of the major founding fathers: Jean Monnet, also inventor of today’s failed bailout policy of a failed European currency, which cost is increasing week-by-week. Sure, there are also clear political struggles and psychological motives behind the Euro debate: the left and the political establishment join in the hope for the blessings of a centralist post-democratic state, because they share belief in the stability of the state as sole power (and on its non accountable priests). Anything significant beyond the state (such as the individual, the family, the truth, the religion), would challenge the semi-religious ego of the transnational institutions – not only their political clout. Dissent thoughts let today’s EU supporters fear for the long-awaited stability of a nation less and culture less state. That was the reason why the Europe’s leaders and the EU bureaucracy has been trying to reassure the public with obviously wrong assurances. Government assurances, which are obviously wrong arouse always a debate and laid the foundation of today’s distrust in ESU opponents. This triggered even neutral public figures, to believe that conspiracy theories might be plausible. An example is the call of the 250 economic experts in Germany (countered by 17 hired guns including two German lobbyists). This obliges the nation leaders and the ESU personnel even more violently to deny and to lie, which opens the gap between public opinion and published opinion even wider. Welcome to the ESU virtual reality. Euro supporter on one side of the ditch, are now on a level beyond reality and beyond any logic. Once a social layer of distorted reality was created, this already has disconnected the arguments from the underlying facts. The discussion of “The lazy South”, “The German as oppressors” – called on hidden stereotypes. This exacerbated the conflict, but what is clear to any of the parties now: we are no longer talking about a real thing, but largely of symbols and archetypes: the great mother, the good (or bad) magician), the good (or bad) King – and about shadow, shadows everywhere; the projection of own undesirable attributes. Shadow of past, such as a former Chairman of Portugal’s Maoists , who promotes without shame “The great leap”, borrowing a term of the biggest man-made disaster which cost about 45 million lives and “The Group of Four” for Europe, counting on the historical void of today’s media. 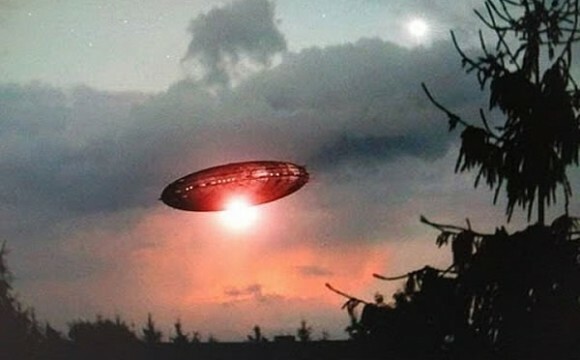 The so-called elites are now UFO believers. Evil crippled dwarfs who swore off love like in Wagner’s Ring gain their Libido through power over others, but are ultimately just tools of the (tragic, weak and invisible) gods. 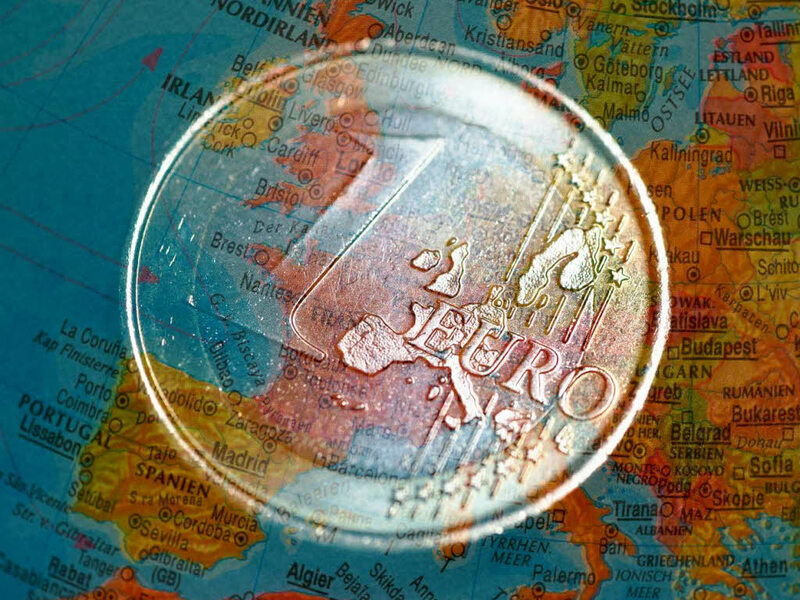 The conscious of the pragmatic – because of the absurdity of the claims – always remained skeptical and more rationally consider the Euro and supra-nationality a failure and indeed counterproductive. The unconscious of the romantics became magically attracted and absorbed these symbols so deeply, that most of them don’t question the proposed resolution of Europe’s cultural identity and the destruction . C.G. 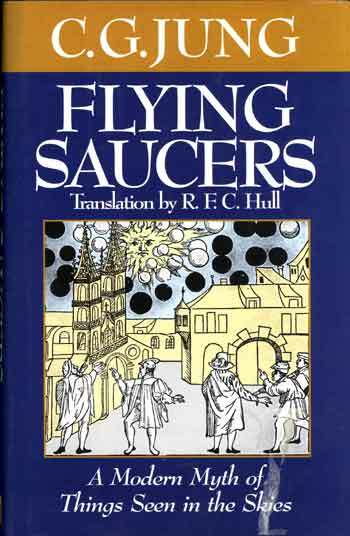 Jung was one of the first observers, who recognized a symbolic myth in the UFO debate. In 1959, he published a book with the title: “A modern myth.” “Of things seen in the sky”. The book was hardly noticed at that time because it probably did not appeal to the strongly polarized state of mind of adversaries; It was probably also too thoughtful and to objectively. It’s worth to read it to see the parallels to today. C. G. Jung called the entire register of his life’s work at the time: first it seemed to him, “an apparently complicated phenomenon and its possible rational basis has a mental component missing”. What remained unclear to him was the question of “whether a primary perception has been a fantasy in the wake, or whether conversely the unconscious fantasy was primary and wins over over the consciousness with illusions and visions. A third option, Jung developed and considered the concept of synchronicities – useful and “random” coincidences between a mental and a physical phenomenon. C.G. Jung stated interferences of religious visions and events, which always occur during times of great personal or collective fear, threat or social upheavals. Mass anomalies with extreme public interest (and the public dispute), connects events with comprehensive changes of the collective unconscious. C.G. Jung concluded his work with a gloomy idea of the coming cataclysmic end of our world history era. In his remarks, he assumes that the astrological fish age of human civilization into the age of Aquarius is over, which leads to catastrophic upheavals, which evokes the collective psychic effects and collective visions. Now Europe, or Germany certainly has lost and is lost. Remarkably in this context is, that Jung questions whether a mass phenomenon is a subjective or objective observation and to what degree of credibility the presented facts of experts have. He is was particularly interested in the interactions of observers and the social collective. I would like to further spin these thoughts on the new era analogy and make comparisons between the ESU and the archetype of the magician. Perhaps the EU phenomenon can be “explained” by Archetypes in the collective unconscious manifest in symbols. The ambivalence and the apparent “play” of experts and media is reminiscent of the God “Hermes” and its properties. Money (or gold), is a strong symbol . You may find as strong elements of the Hermes archetype in the current Euro debate . Hermes is the Messenger, Conquerors of borders, Ambassador and intermediary, liar and ingenious intelligence alike. We meet him in mythology, as jester and magician, as God pan, as God of communication and as a the God of liars and thieves. He stands for information and clarity, creating paradox, but also confusion and ambivalence. In its best form, the hermetic mercurial mind is able to realize the paradoxical of being and to endure. The Euro phenomenon is moving on this ambiguous level. On the one hand the evidence exist through news, on the other side remind cheats, tricks on the other side. There is so many evidence and are many arguments and counter-arguments, that a clear solution or explanation of the phenomenon seems not possible anymore. . The Hermes archetype loves just the ambiguity, he will certainly not carry out a spectacular rescue of the Euro crisis on the lawn of the White House – it would be just not his style. In Europe today, with her lots of weak male leaders, the great mother is omnipresent. For C.G. 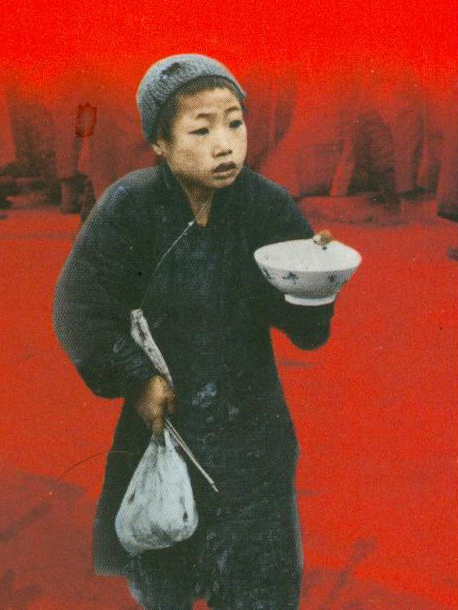 Jung she sums up on three essential: “nourishing kindness, orgiastic emotionalism and darkness of the underworld”. The history of religion shows us the feminine in many facets. It can promise both happiness and unhappiness. The female can have protective, but also had destructive meaning. A well-known example is Gaia, the earth goddess of the Greeks. 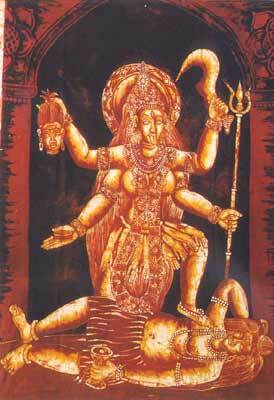 The Hindu goddess Parvati is wife of Shiva and mother of Ganesha and Karttikeya. Their “dark side”, Kali, embodies the anger. Kali is goddess of destruction and of death, but also of the renewal. .
Events, especially in Marian Apparitions, remind of the string of EU summits: planes descend from the sky or float above the places of pilgrimage sometimes a light appears to magically save the Euro. Investors – insiders or/and deceivers (here Hermes shines through again) explain us – Europe must be guarded by the a higher level. There is also a remarkable parallel between Europe and the Nibelungenlied. 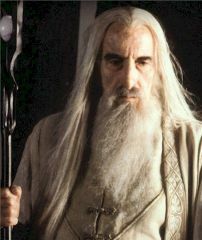 The appearance of the evil crippled dwarf who strikingly resembles some politicians, implies the Euro disaster and Wagner’s (or Tolkien) ring could be one and the same event only different cultural spectacles. The philosopher Gregory Bateson refers to repetition of similar events as “meta patterns” (such as that of the permanent euro-Summit). The practitioners of Goebbels was aware of meta pattern encoded in culturally specifics and typical patterns. Similar meta pattern are found also in near-death experiences (Greece, Euro, Europe, the world economy, world peace) in the shamanic journeys in newspapers. 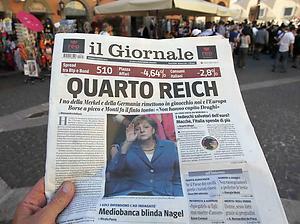 The question of the meaning and the essence of Europe is full of prophetic undertones and pictures. The intriguing question arises, what pattern can be found behind the forces or structures of globalization . The hero on the way of the individuation process leaves the wicked world to see the supernatural miracles. Therefore the desire of belonging to the ESU – at least for some support – would correspond to an unconscious desire to dedication. Accord to Jung mass phenomena occur especially in personal and collective transition periods. The euro acts as agent of social deconstruction and challenges the way of thinking and patterns so that new, flowing, supposedly semantically more fruitful thinking can take place. A new EU intellectual study pictures a train without anybody steering on the euro-rail: soon, the Finance Ministers of the euro countries will throw the next billion of the tender to produce steam for the anti-democratic movement. The left intellectual Habermass admits in his essay “On the Constitution of Europe” it may very well be, that common “social and cultural rights” are missing the European structure, but when ideas of a new European Constitution are presented, only mediocre formulations show up. We see an oscillation between logic reason and utopian hopes for salvation. If Habermas criticizes the “economic view reduction” on European policy at the left, in the same chapter he unmasks the UFO strategy with the disturbing sentence: “Yes, the Lisbon Treaty has gone most of its way already.” The way to where? The Lisbon Treaty provides for no separation of powers, although such are the basis of any democracy. Only a Commission has the sole right to formulate laws and regulations. It is not elected, but appointed in the backroom. The European Parliament, if it were a parliament, cannot decide on fundamental questions nor is it one man one vote and more appointed than elected. In the treaty which stands for a failed constitution, measures for the improvement of working conditions and social security are only allowed if they do not affect the competitiveness of the economy. This is the way towards an imperial power on the outside and an antisocial undemocratic way on the inside. Those todays ESU/UFO supporters want a “priority (of) supranational law over national law ” based on the assumption that in a globalized world society Nation State could compete anymore. The ESU supposedly gains power only when the all states join and work together. “Alians” like “Lichtgestalten” want implement silently a better Europe. Every now and then dissidents have stated that this mixture of a institutions and bureaucrats create a “soft monster of Europe” and makes brutally clear that citizens become less and less involved in decisions. The collective emotions of the left, however, in their love of the Euro subscribe to angle-saxon capitalism world views. 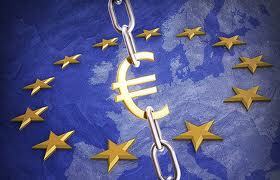 It could be, that the euro is based on pure delusions and the collective unconscious ideas. The assumption that the ECB, ESM and EFSF are Trojan spaceships, is the easiest if not the most plausible explanation. The Western world has always been trying tried to block out whole areas of reality (the evil). This search after the evil leads ironically in projections between South and North (and vice versa) of the worst kind. What is particularly impressive are the many ridiculous “expert studies” or talk shows, in which quite obvious nonsense truth is sold as truth. The euro phenomenon is a psycho physical border event to which the Left even more than the Right subscribe. It is not reasonable at this point to come to any definitive conclusion. However, the huge symbolic and psychological meaning makes it very exciting to ask questions at this level and to gain experience in the sinking of the morbid Euro and the abolition of the cultural identity of Europe. Tags: EU Repression, Totalitarism. Bookmark the permalink.